Many self-proclaimed “healthy” cereals turn out to be sometimes the most detrimental foods to begin your day. Choosing a healthy breakfast cereal is harder than you might think. Many self-proclaimed “healthy” cereals turn out to be sometimes the most detrimental foods to begin your day. It is good to be skeptical at times. Even foods that claim to be “low-fat” or “whole grain” are loaded with sugars. Most are packed with simple sugars and refined carbs, which can cause you to store fat at a rapid rate. Beginning the day with a processed cereal will upsurge your blood sugar and insulin levels, which is dangerous for individuals with type 2 diabetes. Constant spikes and crashes of blood sugar levels can have an adverse effect on your body. In order to start the day off on a stable note, here are some tips that can help you select a healthy breakfast cereal. Do not shop when you are hungry. Shopping when hungry will tempt you to buy sugary foods. Go to the grocery store when you are satiated. Read the nutrition label and look for cereals that do not include sugar or highly refined grains. Most cereals are highly processed and loaded with refined grains and sugar, especially kids cereal. This includes cereals with “whole grains” on the label. This is a marketing tool for cereal companies. Because those grains are pulverized into very fine flour, they have almost the same effects on your blood sugar and metabolism as their refined counterparts. Find cereals high in fiber. Suzanne Farrell, a Denver-based spokeswoman for the American Dietetic Association, says a healthy breakfast cereal should have at least 3 grams of fiber per serving. Nutrition Reviews suggest that high consumption of dietary fiber substantially decreases the risk of heart disease, stroke, high blood pressure, diabetes, obesity, and some digestive diseases. Do not fall for the granola. Many consumers fall for granola, thinking that it is a healthy breakfast food. However, some granolas can be high in sugar, fat, and calories. Granola can be used as a condiment on top of lower-calorie, lower-sugar cereal. In addition, be aware that cereals labeled “low-fat” or “fat-free” may be higher in sugar and calories. Look for the word “whole” in your ingredients list. When looking at the ingredients of your cereal, the first ingredient should be the word “whole” in it. It could be whole wheat, whole oats, or whole oat flour. If it does not have that word, then it is safe to assume that the cereal does not have whole grain ingredients. Change it up with hot and cold cereals. They both can meet the criteria for healthy breakfast choices. Changing it up can also make breakfast more enjoyable for you and your kids. You can also add milk to hot cereal for added protein. You do not always have to go organic. Organic does not necessarily mean healthier in cereal. Organic cereals can still be high in sugar and sodium. Read nutrition labels carefully. Do not fall for marketing slogans. Pay closely attention to breakfast cereals that are high in fiber, low in sugar, and fortified with vitamins and minerals in order to find the best cereal to feed you and your family. Roberts, S. B. (2000). High‐glycemic Index Foods, Hunger, and Obesity: Is There a Connection?. Nutrition reviews, 58(6), 163-169. Lee, C. M., Moskowitz, H. R., & LEE, S. Y. (2007). Expectations, needs and segmentation of healthy breakfast cereal consumers. Journal of Sensory Studies, 22(5), 587-607. Rampersaud, G. C., Pereira, M. A., Girard, B. L., Adams, J., & Metzl, J. D. (2005). Breakfast habits, nutritional status, body weight, and academic performance in children and adolescents. Journal of the American Dietetic Association, 105(5), 743-760. Costabile, A., Klinder, A., Fava, F., Napolitano, A., Fogliano, V., Leonard, C., ... & Tuohy, K. M. (2008). Whole-grain wheat breakfast cereal has a prebiotic effect on the human gut microbiota: a double-blind, placebo-controlled, crossover study. British Journal of Nutrition, 99(01), 110-120. Song, W. O., Chun, O. K., Kerver, J., Cho, S., Chung, C. E., & Chung, S. J. (2006). 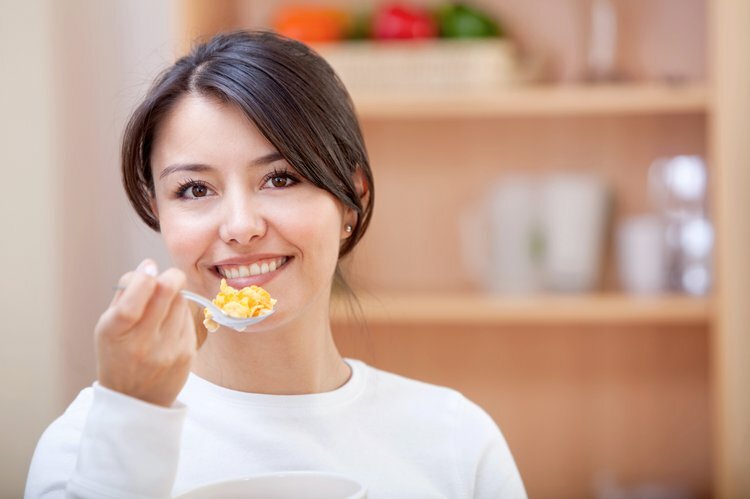 Ready-to-eat breakfast cereal consumption enhances milk and calcium intake in the US population. Journal of the American Dietetic Association, 106(11), 1783-1789.